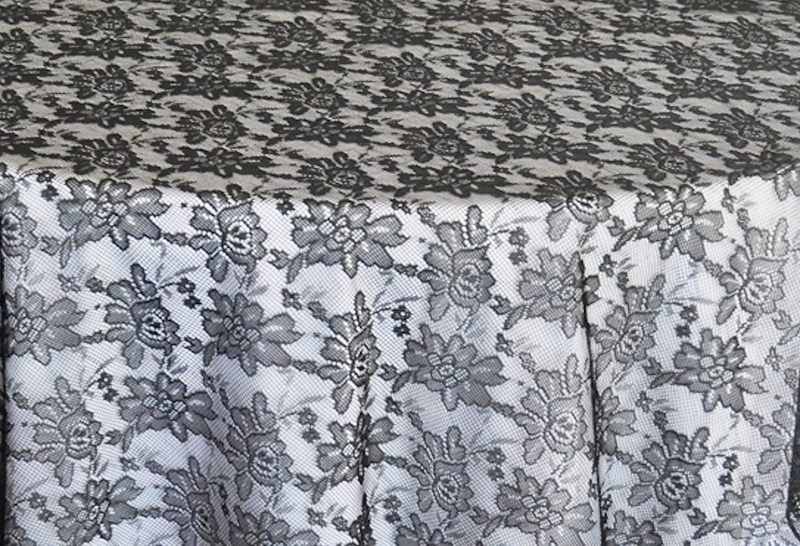 Rental Table Overlay Square Lace Black in Houston and surroundings areas. Rent Table Overlay Square Lace Black, for your wedding reception, wedding ceremony, anniversary celebrations, banquet, corporate event, private party and all other special events. 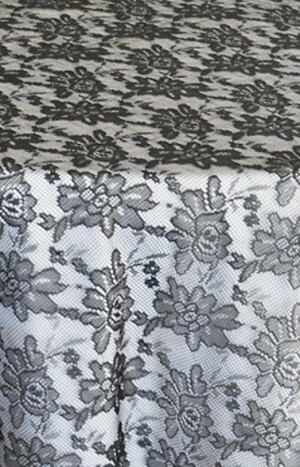 Our 72"x 72" Table Overlay Square Lace Black for rent are made from a high quality square lace material. Matching color table runners, chair sashes, chair covers, table linens and table napkins. "AMAZING. EGNA was our Day of Coordinator and she went above and beyond our expectations and her fee was beyond affordable. From her service, responsiveness, professionalism, everything was on par if not above and beyond any high end wedding service coordinators. You cannot go wrong with Egna, Egna can do no wrong. She was so sweet, was on point with everything during the whole day. My mind was thinking about 10 different things at once, every time I made a change she quickly relayed to the other vendors. I did not have to worry about it again. Even things I forgot about!! She gave suggestions and her input, because for most brides.. this is their first wedding and who knows what goes on! I cannot praise her enough. INCREDIBLE. HIRE HER. She's a GEM. You will be thankful. LOVE YA EGNA!! Thank you! Thank you!"